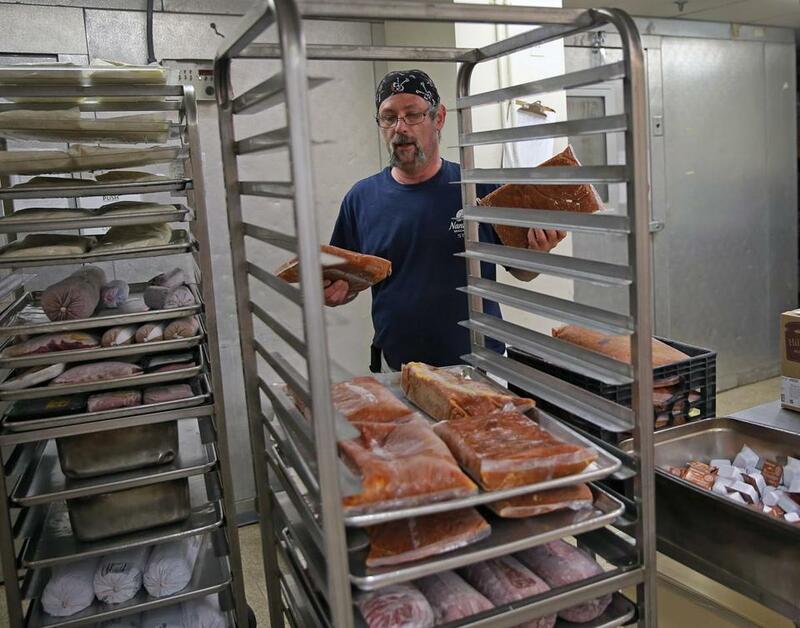 St. Francis House chef Seth Green looks to get maximum value out of donated foods. “I think I spent $7 this week on drinks for the volunteers and a soda for the fat chef,” joked Green. “If you don’t know by now, you don’t belong in a kitchen,” needled Green, who’s been in the business 30 years as a head chef in a resturant, cooking for weddings at a resort, and as the food services director at a nursing home. “They would be looking for a meal, a cup of coffee, and someone to talk to,” LaFrazia said. He can chop up to 100 pounds of the tear-inducing vegetables in two hours. “They make us cry anyway,” he quipped about Green and Stewart. “I always said, ‘If I haven’t made you cry my day is not complete,’ ” Green chimed in as the kitchen crew cleaned up after the day’s lunch. Eaton said he started volunteering two years ago because “the idea of feeding the homeless felt very noble.” He returned because he liked the people.